Lighting and projection designer David Bengali, performance artist and poet Jaamil Olawale Kosoko, and writer Erika L. Sánchez have been named Princeton University Arts Fellows for 2017-19 and will begin two years of teaching and community collaboration in September. The Arts Fellows program of the Lewis Center for the Arts provides support for early-career artists who have demonstrated both extraordinary promise and a record of achievement in their fields with the opportunity to further their work while teaching within a liberal arts context. Funded in part by the Mellon Foundation, Fellows are selected for a two-year residency to teach a course each semester or, in lieu of a course, to undertake an artistic assignment that deeply engages undergraduate students, such as directing a play, conducting a music ensemble, or choreographing a dance piece. 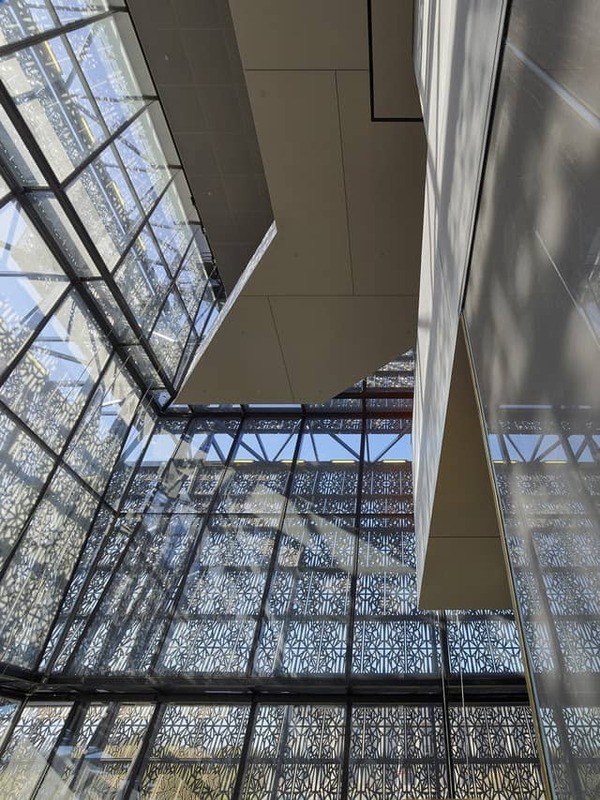 Fellows are expected to be active members of the University’s intellectual and artistic community while in residence; in return, they are provided the resources and spaces necessary to their work. 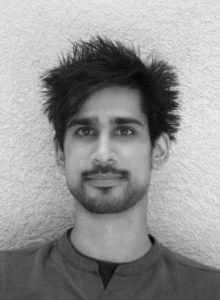 David Bengali is a lighting and projection designer based in New York City. He completed his M.F.A. in Design for Stage and Film at New York University. He is a Princeton alumnus, class of 2004 with a B.S.E. in computer science and certificates in theater and Italian. His recent design credits include The Temple Bombing at Alliance Theatre; Uncommon Sense at Tectonic Theater Project; Anna Akhmatova and Jules Verne: From The Earth To The Moon at Brooklyn Academy of Music; Ring of Fire at Endstation Theatre; The Tempest at Classic Stage Company; Kill Me Like You Mean It at Stolen Chair; Two Point Oh at 59E59; I Forgive You Ronald Reagan and The Sensational Josephine Baker at Theatre Row; Cav/Pag at Tri-Cities Opera; Little Nemo in Slumberland at Sarasota Opera; and productions at The New Victory, Soho Rep, Jamal Jackson Dance, and Ephrat Asherie Dance. His recent associate design credits include The Last Ship, Amélie, and Dear Evan Hansen on Broadway, and La Donna Del Lago at the Metropolitan Opera. He has taught as a guest lecturer in undergraduate drama and graduate dance at New York University. Jaamil Olawale Kosoko is a Nigerian-American curator, poet, and performance artist from Detroit, Michigan. He is a 2017 Jerome artist-in-residence with Abrons Arts Center, a 2017 Association of Performing Arts Presenters Leadership Fellow, a 2015 American Express Leadership Fellow, a 2012 Live Arts Brewery Fellow as part of the Philadelphia Live Arts Festival, a 2011 Fellow as part of the DeVos Institute of Art Management at the John F. Kennedy Center for the Performing Arts, and an inaugural graduating member of the Institute for Curatorial Practice in Performance at Wesleyan University. 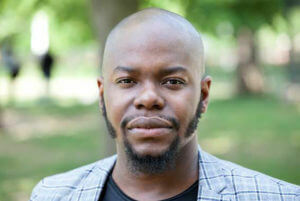 He has held producing and curatorial positions at New York Live Arts, 651 Arts, and The Watermill Center, among others. Kosoko is a 2016 Gibney Dance boo-koo resident artist and a recipient of a 2016 U.S. Artists International Award from the Mid-Atlantic Arts Foundation. His work has received support from The Pew Center for Arts and Heritage through Dance Advance, The Philadelphia Cultural Management Initiative, The Joyce Theater Foundation, and The Philadelphia Cultural Fund. Kosoko has created original roles in the performance works of visual artist Nick Cave, Pig Iron Theatre Company, Keely Garfield Dance, Miguel Gutierrez and The Powerful People, and Headlong Dance Theater, among others. Kosoko’s poems, interviews, and essays have been published in The American Poetry Review, Poems Against War, The Dunes Review, Silo, Detroit Research v2, Dance Journal (PHL), the Broad Street Review (PHL), MR’s Performance Journal, and Critical Correspondence (NYC). He continues to guest teach, speak, and lecture throughout the U.S. and abroad. His newest performance work #negrophobia received a 2016 New York Dance and Performance (Bessie) Award nomination and is currently touring throughout Europe. Erika L. Sánchez is the daughter of Mexican immigrants. 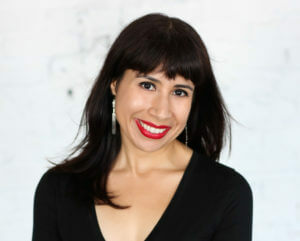 A poet, essayist, and fiction writer, she is the author of a young adult novel, I Am Not Your Perfect Mexican Daughter (Knopf Books for Young Readers, 2017) and the poetry collection, Lessons on Expulsion (Graywolf, 2017). Her poetry has appeared in Boston Review, Guernica, Paris Review, Poetry, and other publications, and her nonfiction has been published in Al Jazeera, Cosmopolitan, ESPN.com, The Guardian, on NBC News, Rolling Stone, Salon, and elsewhere. She has received a CantoMundo Fellowship, a Discovery/Boston Review Poetry Prize, a Fulbright Scholarship to Madrid, Spain, and a Ruth Lilly and Dorothy Sargent Rosenberg Poetry Fellowship from the Poetry Foundation. Sánchez holds a B.A. from the University of Illinois at Chicago and an M.F.A. from the University of New Mexico. The next round of Fellowship applications will begin in July with a mid-September deadline. Guidelines will be posted on the Lewis Center website at http://arts.princeton.edu/fellowships/.